Sorry, this job expired on Mar 7, 2018. Below are other jobs that may be of interest to you. Brinkerhoff Hospitality is a family owned restaurant group operating in the Denver area for more than three decades. 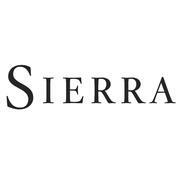 The Brinkerhoff family is proud to announce the opening of our new concept, Sierra, in the RidgeGate community of Lone Tree. Our American kitchen will feature items from our wood fired grill and state of the art rotisserie. We will offer full bar service indoor and outdoor, as well as patio dining. We are currently seeking highly motivated a FOH Manager to join in our mission of providing a "best in class" dining experience for the Denver community.